USC was one of the first schools to offer four-Star Narbonne WR Joshua Jackson‍ and after recent offers from Notre Dame and Cal, his offer total is at 10. ASU, Oregon, Washington, Washington St., TCU, Florida and Michigan have also offers Jackson a scholarship. 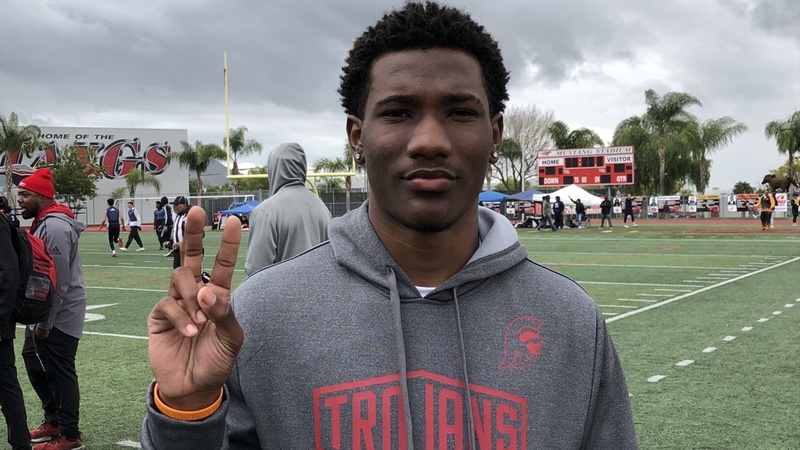 TrojanInsider.com caught up with Jackson on Saturday during the Premium Sports 7v7 Tournament In Moreno Valley to talk about his recent offers, his strong interest in the Trojans, Spring/Summer Visit plans and more..